Divorce is an emotionally painful and draining experience for most people. And, while you are consumed, or even overwhelmed, by the entire process, you may not be focusing on the most important elements of your pending divorce — asset distribution, finances, and immediate parenting arrangements. Hiring a Boca Raton family law attorney can help keep the divorce proceedings on track and ensure your rights and interests are protected in any settlement negotiations. Even the party who initiates the divorce typically has some emotional turmoil throughout the divorce. Having an attorney who can remain objective and not be personally involved can go a long way in helping offer experience-based guidance during your divorce. It’s much easier to navigate the legal complexities of a divorce when you have someone on your side that already knows applicable family law and how to navigate the procedural rules in family court. You aren’t expected to know as much as a family law attorney, but if you attempt to represent yourself, the court will hold you to a higher standard. Most courts are backlogged with cases as is, and you may find yourself inadvertently angering a judge who may not be as sympathetic to your case. Believe it or not, retaining a family law attorney for your divorce can actually save you money in the long run. Your attorney will make sure you don’t end up paying too much in alimony or child support. If you are entitled to receive spousal support or child support, your attorney will help ensure you get as much as you deserve. Your family law attorney and his or her staff will be the ones handling all difficult and complex paperwork behind the scenes so you don’t have to. A divorce is very paperwork intensive, which varies based on individual situations and specific scenarios. If you use the wrong verbiage or file the wrong form, it can delay the proceedings. Worse, the judge may feel you are being argumentative or that you don’t care about the process. If you accidentally omit something, your spouse’s attorney will claim you are withholding information. Attorneys have access to a network of reputable experts and consultants they can call on for different matters. If you have a large asset portfolio, or own a business with your spouse, you may need the services of a forensic accountant if you can’t decide on a value. Other experts like mental health experts, physicians, and appraisers may be needed depending on the individual circumstances. In many cases, the family law attorneys for both spouses already know each other or have been up against each other in court already. This can work well in regard to professional negotiations and working together to reach a settlement that is fair and equitable to both parties. 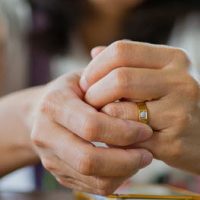 If you are preparing to file for divorce in Florida, or currently trying to represent yourself in a pending matter, contact the Law Offices of Schwartz | White and let us help. We can ensure your rights and interests remain protected and try to finalize your divorce as soon as possible. Contact our office at 561-391-9943 to schedule a consultation.